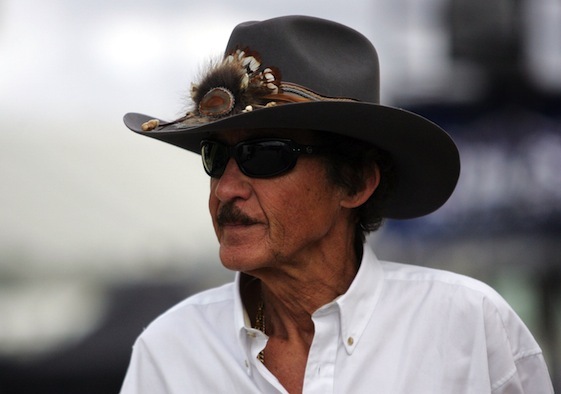 George Gillett, the majority owner of what is now known as Richard Petty Motorsports, announced this week that his group has signed a commercial collaboration agreement with Prince Faisal bin Fahd bin Abdullah al-Saud, a member of the royal family of Saudi Arabia. Nobody is really sure yet what that means, but RPM can use all the help it can get. Most believe that Petty, the winningest driver of all time and still an icon in the stock car sport, is little more than a figurehead in the team started by Ray Evernham and sold several years ago to Canadian businessman Gillett and his family. Now there are reports that Gillett , who sold the Montreal Canadians of the NHL earlier this year, wants out of both NASCAR and his co-ownership of the Liverpool football (i.e. soccer) team in England’s Premier League. Petty, who folded the longtime team business, Petty Enterprises, into Gillett’s organization last year remains the face – and often the voice – of RPM. The big question now is what will Prince Faisal’s role be? Will we soon be seeing prayer rugs in the Cup garage? Camels parked outside the RPM haulers? Will The King trade in his feathered cowboy hat for a keffiyeh, the traditional Arab head scarf? Actually, this move isn’t all that surprising in this struggling economy. As we all know, money is tight all over, but oil is still flowing steadily from beneath the sands of the Middle East and the Prince isn’t the first rich guy from that area to take a flyer in North American racing. Sheikh Khalid bin Hama Al-Thani, from the ruling family of Qutar, is in his first year as co-owner of the Al Anabi Racing team in the NHRA. The team appears to be well-financed and well run. The other owner is veteran crew chief Alan Johnson and their Funny Car and Top Fuel dragster have both won events this season. And NASCAR, a distinctly American sport, has certainly become more international in recent years, with Japanese automaker Toyota joining its ranks, Australian Marcos Ambrose establishing himself as a budding star and a number of English engineers plying their trade in the stock car sport. RPM, planning to merge with Yates Racing, run four cars and switch from Dodge to Ford next season,, can certainly use some financial help after having to let go some employees and cut salaries throughout the organization in the wake of Chrysler’s bankruptcy earlier this year. And the Prince could be walking into the picture at just the right moment. The Petty team has shown some resilience this year, despite the economics. Popular Kasey Kahne, the team’s star, won two races and made the 12-man Chase for the Sprint Cup championship. There is also A.J. Allmendinger, another potential star with some charisma. And switching manufacturers could certainly mean a lot more technical help than has been available to the team from Chrysler since midseason. You might say that RPM has been dealing with some shifting sands this year. That should make Prince Faisal feel right at home. This is a nice article, however there is a correction. Sheik Khalid bin Hamad Al-Thani soley owns Al-Anabi Racing. And Veteran Crew Chief Alan Johnson owns Alan Johnson Racing. There is a misconception that Al-Anabi is Alan + abi forming Al-Anabi. This is not the case. The two are seperate entities. A lot of sports teams in Qatar (ie. football, etc) are called Al-Anabi. Just an FYI, have a great weekend of racing!